Like all good things, a little TLC can go a long way? Skylight Fitters have been buying, installing, and repairing VELUX windows for many years. We can therefore say with confidence that we are experts when it comes to VELUX products and we know what we are doing. 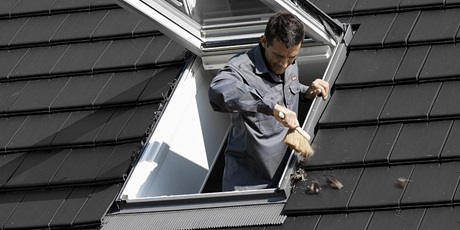 We have decided to use our expertise to help VELUX owners extend the lifetime of their investment by offering a yearly service and maintenance package. The air filter can be removed and washed with ordinary household cleaners. Fully rotate and secure the window in cleaning position, then remove the filter from the filter rail. New filters are available from Fakro and be bought from us today. Leaves and other debris should be re moved from the flashing around the window once per year to allow rain water to flow freely. 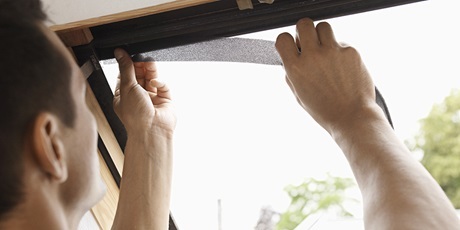 To clean the outer pane, rotate the sash 180 degrees. The sash must be secured in position by sliding the barrel bolt into the bushing at the bottom of the side frame. This safety feature leaves both hands free for cleaning. 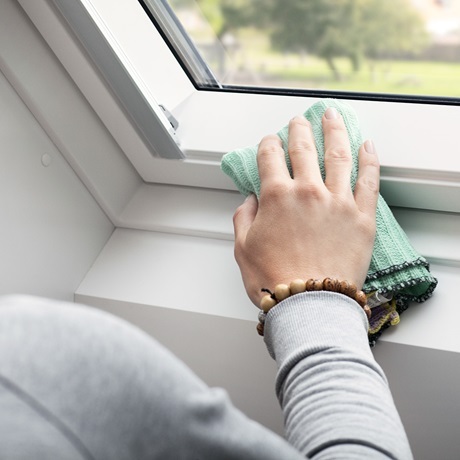 Clean the pane with a soft, clean, lint-free cloth/chamois leather/nonabrasive sponge or a clean, non-metal window squeegee. Clean water will normally be sufficient for cleaning the pane. Ordinary, non-abrasive household cleaners can also be used. 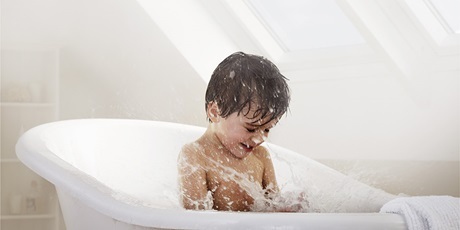 Soft water is best for cleaning panes. Therefore, in hard-water areas add a small amount of detergent to soften the water or wipe off all excess water after cleaning. 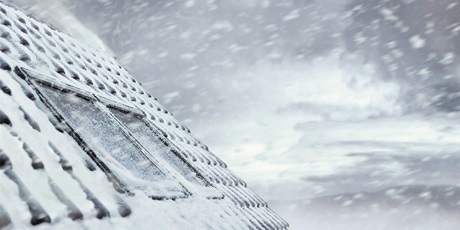 Remove snow and ice to allow melt water to drain off from and around the window. Particularly in rooms with high levels of humidity, condensation can form on the inner pane of the window. This can be minimised by fitting a radiator directly below the window and by airing the room frequently.